I recently created a new WebGL version of Tripeaks. It saves your score so you can return to continue from where you left off. Play it HERE. The old windows version of Tripeaks can still be found below. 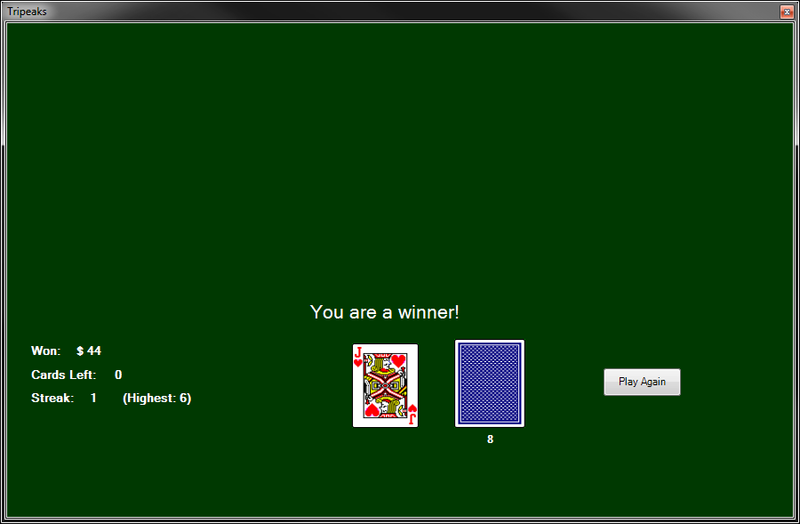 Tripeaks is a highly addictive solitaire game, with very simple rules. This version is based on the original Tripeaks created by Robert Hogue. I Tried to stay as true to the original as possible. It was written using the .NET framework. This game is free and open source. 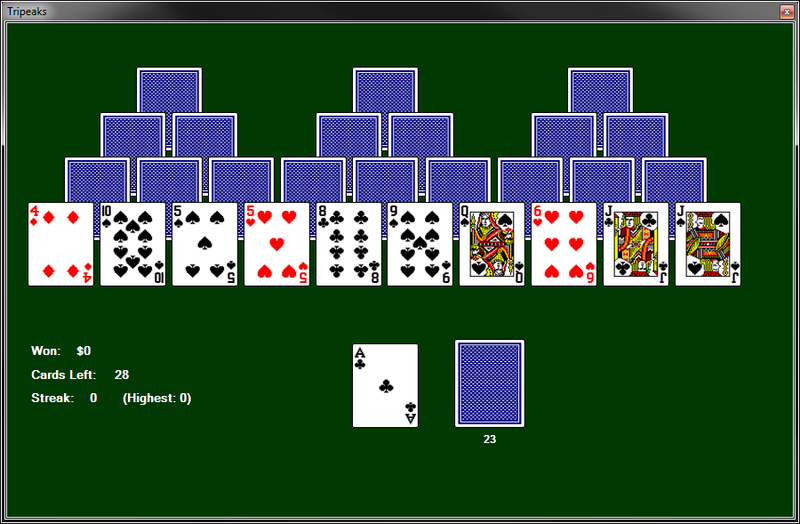 Tripeaks runs on Windows and is a standalone application. No installation required. You can also download the game and source code below.